The Swan Club has been described as a photographer's paradise with background settings so complete your wedding album will bristle with excitement. The bride's walk...wishing well bridge...gazebo...waterfall...and dancing water fountains will enhance your photographic memories. 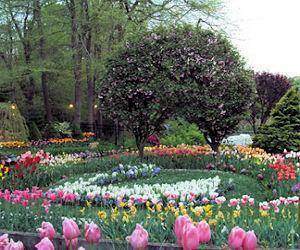 The lush, landscaped gardens on seven acres are constantly maintained with change of season flowers. Your guests will marvel at the beauty surrounding them. From the moment you arrive on your special day you will indeed feel special. The Swan Club offers impeccable service. Quality food in a picturesque waterside environment will leave you breathless with excitement. Under the personal direction of the Trunz family, the Swan Club has achieved a reputation in catering that is second to none. We invite you to call us and arrange for a close-up look at our establishment. I have decided along with my husband to be to go and have the party at the Swan Club. We both wanted this to be a night to remember and the Swan Club could make that happen. The surroundings are great, there is a pond with colorful fish and some rare flowers that blend in beautifully. The catering provided was heavenly, the people that waited for us were really helpful and in general that was one of my most wonderful nights ever and I owe it pretty much to the Swan Club. Thank you very much! I give a five rating and more! We were having a family reunion, and since many of those in are family are getting older, we wanted to have some pictures taken so that we had lasting memories of all our loved ones. The Swan Club proved to be the perfect place to have these memories taken. The settings are beautiful, and we couldn't have asked for more. The beauty that you are surrounded with at Swan Club is unlike none you can imagine. It's the perfect place for any type of photo shoot. I had my wedding photos taken there and I couldn't be happier with what I got. My daughter wanted the perfect place for her Prom pictures, and the Swan Club offered just what she wanted. We have beautiful pictures of that special day in her life. We wanted a nice place to take our wedding pictures last fall. We looked almost everywhere we could think of, too. For any of you who have ever been married, you know how important setting it for the pictures. It was hard at first to find a place, but eventually I stumbled on Swan Club. They offered some of the most beautiful setting I have ever seen, and not just for wedding photos. Needless to say, the pictures came out perfect, and thanks to Swan Club, our wedding album is full of places we can be proud to have taken pictures. Do you have any experience using Swan Club? If so, please rate your experience and let others hear about it using the form below.